IT is welcome news to many that National Housing Corporation plans to start regulating housing rentals. Rental prices are increasing so much that people are just not able to afford houses. Locals rent homes out in the suburbs which cost very much less. Housing Minister John Kaupa says NHC right now does not have authority to regulate rental prices. He says once the new policy that will soon be presented to the National Executive Council is approved, it will have authority to start regulating rental prices. The regulation will start first in the capital and later in other centres in the country. The high cost of living in Papua New Guinea has taken away much of the shine from the country’s paradise image portrayed in glossy tourism brochures around the world. First-time foreign visitors and tourists usually get a rude awakening on arrival. The regular traveller has become accustomed to a fact of life that our citizens endure each day as they try to make ends meet in cities like Port Moresby and Lae. Indeed, the high cost of goods and services has transformed our paradise into an unattractive destination for foreign visitors, especially tourists, and almost a living hell for a great number of Papua New Guineans. The soaring cost of housing and rental accommodation in this country is considered to be among the highest in the developing and developed world. For example, low-covenant housing and accommodation rentals in the less-affluent residential suburbs of Port Moresby fetch up to K500 per week. Rentals for executive-class accommodation in affluent suburbs fetch up to K5000 per week. It is much more for luxury units in condominiums that have been popping up like mushrooms in the capital. In the absence of a regulated market, real estate companies and property owners continue to dictate the prices of housing and rental accommodation – without taking into account the affordability issue. They have been charging tenants and employers, who provide accommodation for their workers, exceedingly high rental rates even for sub-standard accommodation. 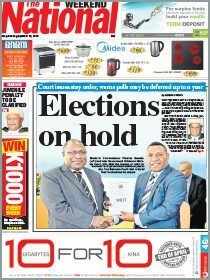 You only have to look in the daily newspapers to see the kind of rentals that are being charged in Port Moresby and Lae. The past six years has seen accommodation and property rental prices reach astronomical heights. The notion that competition will drive the market and pricing will work in an ideal environment does not work in this country. Supply can never quite match the demand, not now and not for some time in the future. 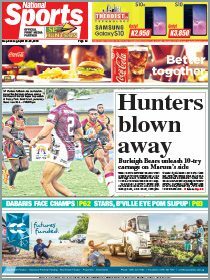 The PNG housing market is controlled by a very few players. They can and may operate pretty much like the oil cartels, where prices are dictated more by them rather than being driven by demand and supply as one would normally expect of a market economy. The onus is on Government to deliberate on the NHC proposal to ensure this happens, one way or another, as it is in the best interests of both tenant and landlord. It is time now that the Government put its foot down to take appropriate policy measures to address housing plights of all citizens. Having access to affordable shelter is a basic humanitarian right under the relevant United Nations Convention. A regulated market will ensure that commonsense prevails. It will ensure housing and accommodation rates are brought under control. More importantly, it will ensure housing is made more affordable for the working citizens. Please look at the rentals. some homes for rent do not even worth the hefty rental fees. made out of taka box and so called high covenant and yet its K500 per week or K5000 per week! This rental prices are so high and cannot be affordable by the middle class Puglic Servants Please review with a Goverment Agency to look into this issue.